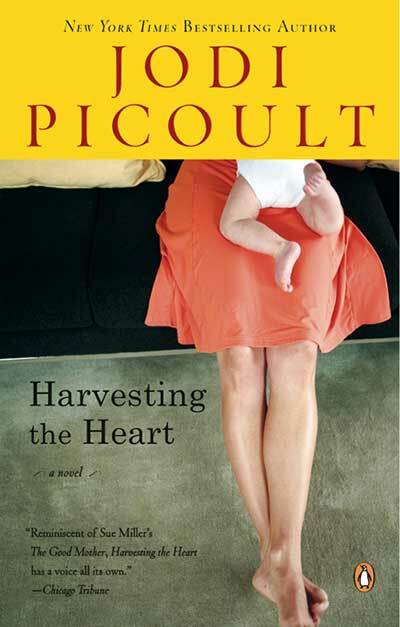 Picoult brings her considerable talents to this contemporary story of a young woman in search of her identity… Told in flashbacks, this is a realistic story of childhood and adolescence, the demands of motherhood, the hard paths of personal growth and the generosity of spirit required by love. Picoult's imagery is startling and brilliant; her characters move credibly through this affecting drama. The novel is divided into three distinct sections: Conception, Growth and Delivery. It reveals rich nuances and complexities in close family relationships like that of mother and child, and husband and wife. Paige O’Toole has only a few vivid memories of her mother, who left when she was five. Now, having left her father behind in Chicago for dreams of art school and marriage to an ambitious young doctor, she finds herself with a child of her own. But her mother's absence, and shameful memories of her past, make her doubt both her maternal ability and her sense of self-worth. 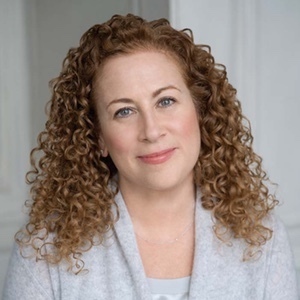 Out of Paige's struggle to find wholeness by searching for her mother and, eventually, returning to be a mother, Jodi Picoult crafts an absorbing novel peopled by richly drawn characters. Any mother— or child— cannot help but to relate to the issues and emotions explored within this book. Paige remembers her father saying over and over again “Life can turn on a dime.” Nicholas remembers his father used to say “Life turns on a dime.” What do they mean by that phrase? Do you agree? Paige’s art is a catalyst for events throughout the novel. Discuss how her pictures help mold her life. If Paige were to draw your picture, what other “pictures” would be hidden within yours? When Paige becomes pregnant with Max, she says she doesn’t know how to be a mother because she never had one. Can you be a good mother if you didn’t have a mother? When Nicholas saves the patient’s life (p. 80), he is a hero. When his father brings his girlfriend to the ballgame (p.120), Nicholas wants his father to be able to save someone so he is a hero. Discuss how we all need heroes? What do we need them to do? How do doctors often attain such a status? At the Halloween Ball, Nicholas tells the others that he met Paige “waiting tables.” Why does she feel so betrayed and hurt? Would you feel that way? How different are Paige’s parents? How different are Nicholas’ parents? Nicholas’ father married wealth. So did Paige. How do they each handle it? How are they alike? How are they different? The novel is divided into three parts: Conception, Growth, and Delivery. How is each part an analogy of birth? Nicholas lies that he has been called to the hospital so he can leave after caring for Max for an hour (p. 186.) He’s feeling the same way Paige is but he gets to leave. Is Paige justified in leaving later? Nicholas doesn’t understand why Paige is upset being with Max all day since he is the one working on his feet, keeping his reputation intact, and saving lives. How common is this thinking in today’s world? In our parents’ generation? Has it changed? When Max falls off the couch, Paige feels terrible and is relieved he’s okay. Nicholas assumes that Paige is not taking good care of Max— possibly causing the fall. How unfair does that seem to strike you? It is obvious that Nicholas and Paige were no way near prepared to be parents. How does that affect their relationship? When tossing Nicholas’ shirts from the car when leaving, Paige is metaphorically tossing off her old life. Have you ever done that or wanted to do that? It is interesting how Nicholas is ready to fall apart trying to deal with Max and asking the Candy Striper for help. Discuss the irony that he didn’t think Paige needed help but now HE needs help. How do we know Paige’s dad has always loved her mother? On page 306, the contradiction of guilt: those mothers who work feel guilty leaving their children yet Paige was able to stay at home with Max and wanted to be anywhere but there. How does the media play into all this today? How different is it between living the life you are expected to live and the life you want to live? Are they ever the same? What brings Paige and Nicholas back together? Both Paige and Astrid capture the world through their art, whether through charcoal drawings or through a camera lens. They both become famous in their own world. How does this make them alike? How does this make them different? The author always has a double meaning in the titles of her books. What hearts are harvested in the novel, Harvesting the Heart? Recipient, Barnes and Noble DISCOVER GREAT NEW WRITERS Award.